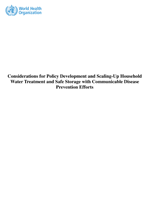 The purpose of this study was to develop and pilot test a specific methodology for valuing a wider range of impacts related to water resource pollution in Indonesia. 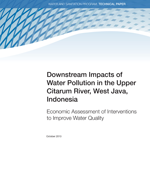 This report describes the origin of the pollution in the specific case study of the Citarum River, the effect on water quality, and the economic losses resulting from the deteriorating water quality. 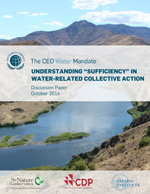 It also identifies feasible interventions for improving water quality and predicts the effect of these measures on water quality. 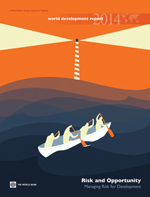 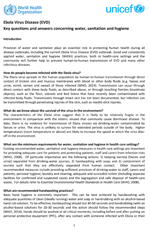 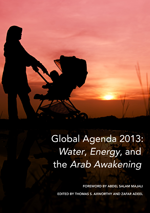 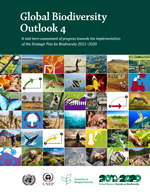 Overview of report 'World Development Report 2014. 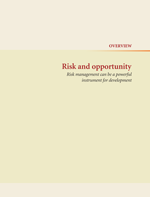 Risk and Opportunity: Managing Risk for Development. 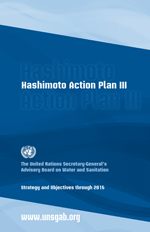 The Third Hashimoto Action Plan (HAPIII) outlines UNSGAB's 2013-2015 strategy for shaping global water and sanitation policy. 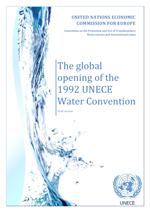 The Plan calls for a final push to achieve the Millennium Development Goals (MDGs) on water and sanitation, noting that the sanitation target is among the most off-track, and advocates for including water and sanitation objectives in the post-2015 development agenda.